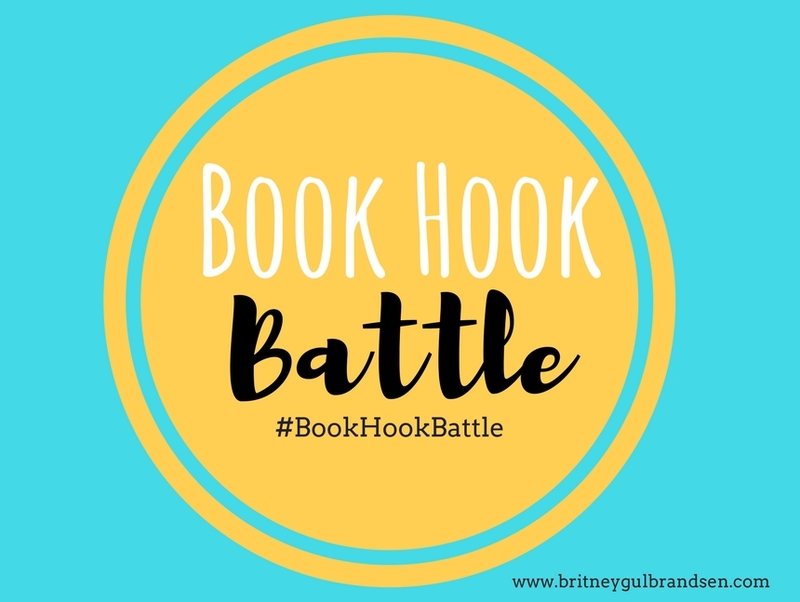 **Note: If you didn’t catch our June 2017 Book Hook Battle post, check it out to learn what Book Hook Battle is and to score a FREE printable version of the game so you can play it yourself! 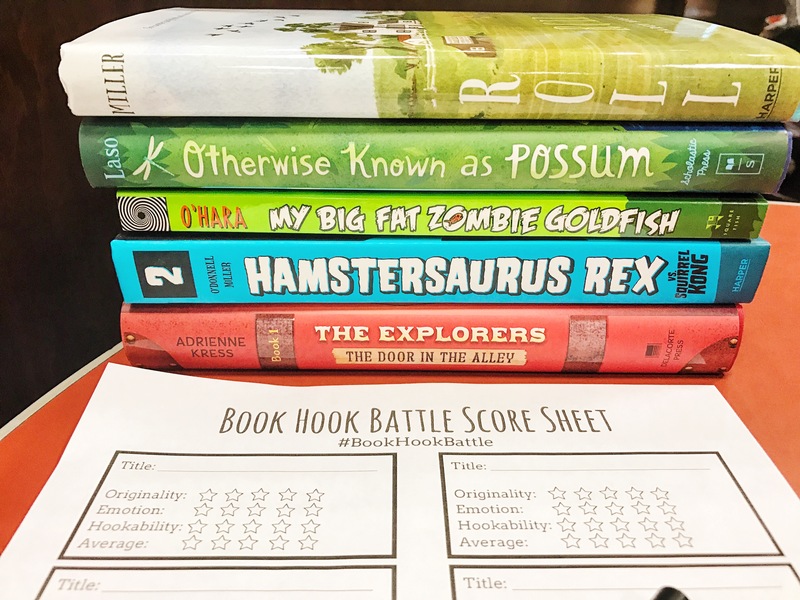 For this month’s Book Hook Battle, we decided to do two categories: middle grade and young adult. We basically did the same thing last time, but there was no rhyme or reason to it. 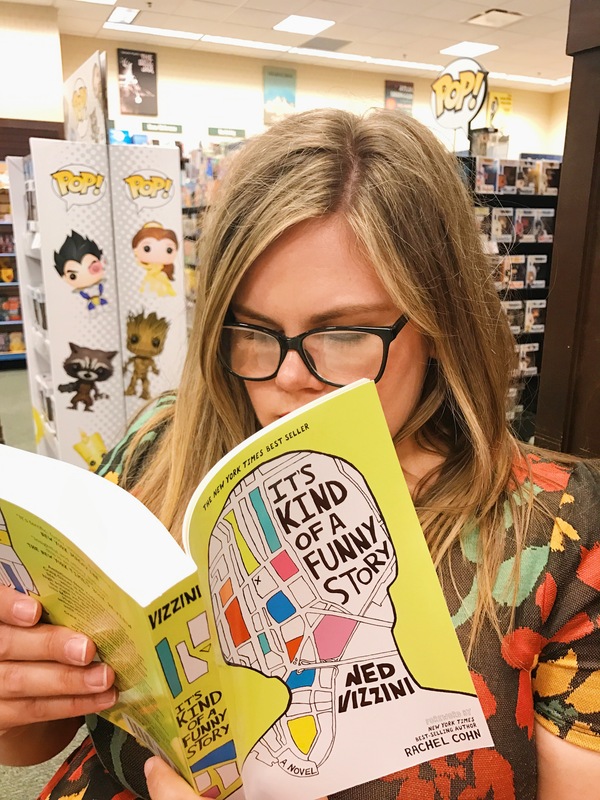 We both just browsed those sections and picked the books that stood out to us. 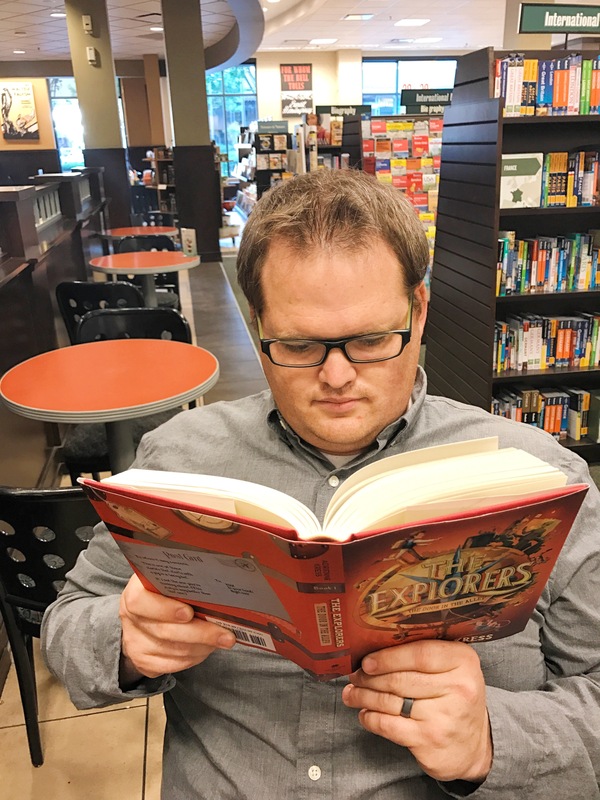 This time we decided to vote between five middle grade books for the MG champion, and five young adult for the YA champion. Then we each picked 2-3 per category. It was a fun way to do things! I chose the two on top and Jess chose the three on the bottom. I chose the first three and Jess chose the other two. 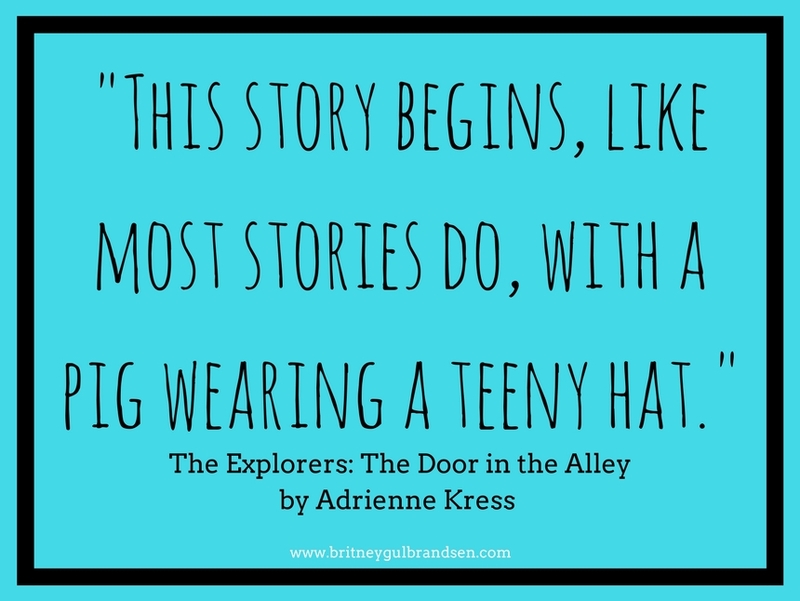 This line from The Explorers: The Door in the Alley made us laugh and instantly pulled us in. We were HOOKED. 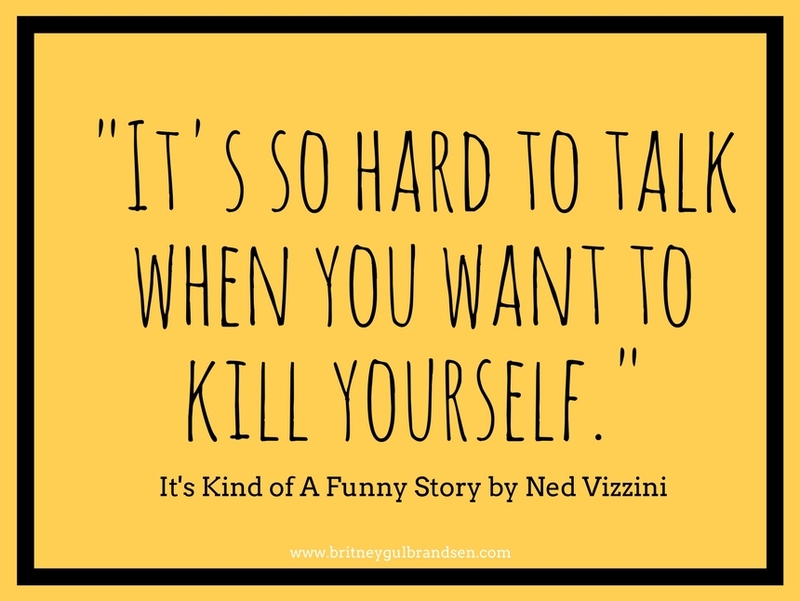 This line from It’s Kind of a Funny Story packed an extreme emotional punch. You know exactly what type of book this is going to be and you’re ready to follow the main character on his journey. 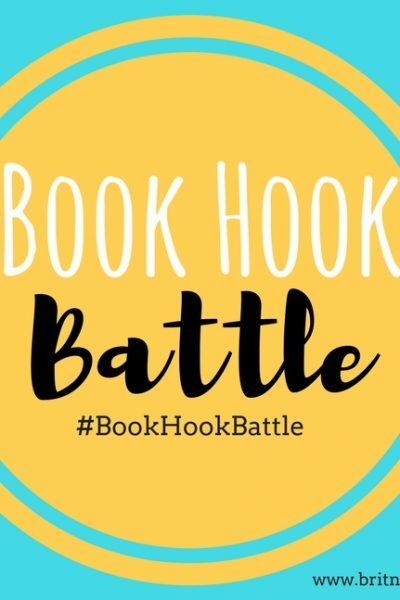 Don’t forget to head to the last Book Hook Battle post and grab your FREE download to play the game yourself. 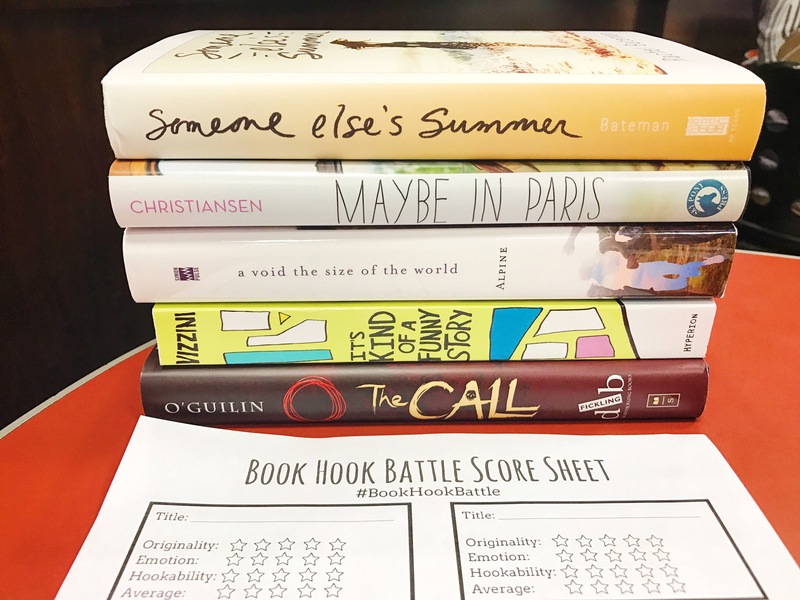 And post your results on social media using #BookHookBattle. 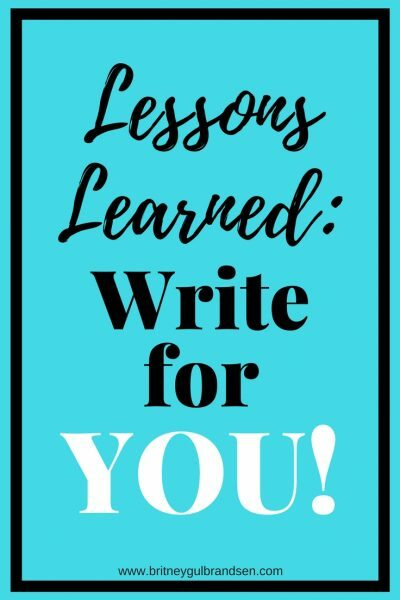 We’d love to see your winners!